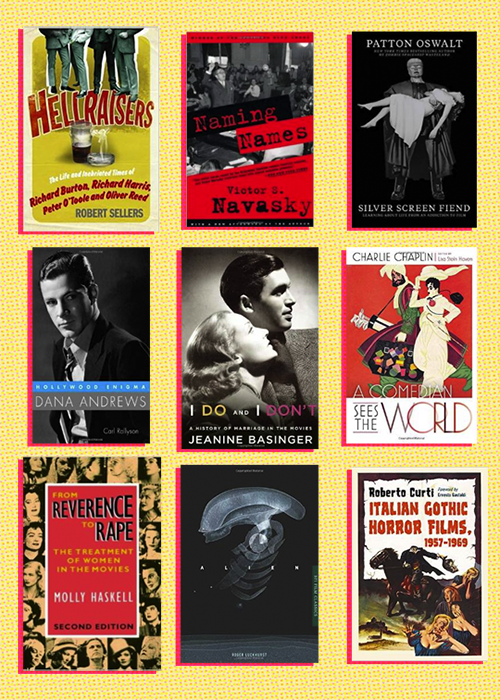 Raquel from Out of the Past is hosting her annual Summer Reading Classic Film Book Challenge. This will be my first time participating and I'm really excited about it! I made up a little list on goodreads of all the books I'd like to try to tackle this summer. I'm going to start off with Hellraisers (The Life and Inebriated Times of Richard Burton, Peter O'Toole, Richard Harris and Oliver Reed) since it's the only one that I already own. I have a horrible habit of buying way more books than I could possibly read in my lifetime, so I'm going to make myself wait until I finish each book before I purchase the next one. This is such a cool blog <3 I absolutely love silent movies & film noir, so glad I found this!